Durable integrated solutions for an infrastructure which can be relied on to perform in all circumstances. Our Data Center solutions offer has been structured around four major objectives which allow us to provide an optimum response to the specific issues and needs of data centers: efficiency, availability, scalability, and security. 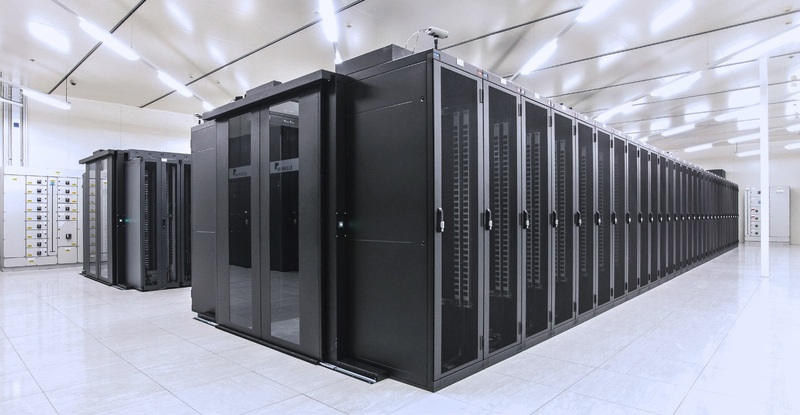 Combining relevance and reliability, our dedicated data centre solutions allow you to satisfy the most demanding requirements, particularly in terms of cooling, power, availability, or even security. From the need to have an entire infrastructure to sharing installations securely for a low cost, our data centre solutions adapt to meet your actual needs. Therefore, to best meet your needs, we have structured our offer around three market types: Enterprise, Corporate, and Colocation. THE LEGRAND GROUP WILL ATTEND "DATA CENTER WORLD PARIS" ON NOVEMBER 27TH-28TH! COME AND MEET US AT DATA CENTRE WORLD FRANKFURT! Choosing Legrand provides the assurance not only of expertise offered by both generalist and specialist brands offering bespoke solutions to your needs, but also of continuous project support. Reliable solutions of certified quality, responsible and sustainable development, optimization of resources, customer training, etc. The expertise of generalist and specialist brands, a complete offer with something for all types of market, showrooms which truly showcase innovation, etc. 90 subsidiaries and offices in over 180 countries, 36,000 employees worldwide, the competitive advantages of a world leader.